Qualcomm’s newest Snapdragon S4 chips are expected next year and will be the first to support all of the major 2G, 3G and 4G networks with a single integrated modem. 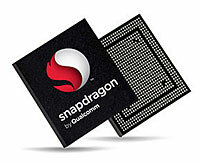 The company released a white paper on Friday outlining the features and benefits of the upcoming Snapdragon(s qcom) S4 mobile processors, which will combine advances in computing and graphics performance with reduced power requirements. The multi-core 1.5 to 2.5 GHz chips will be manufactured using a 28 nanometer process, which packs more circuits into a smaller chip, reduces heat and power requirements. The integrated modem will support numerous network types: LTE, HSPA, GSM, CMDA, EV-DO and more. This means handset makers will have the flexibility to use the S4 in devices for different network providers. Qualcomm took a similar approach with the MDM 6600 chip that powers the Apple iPhone 4; it supports CDMA and GSM networks, even though Apple(s aapl)created specific iPhone 4 models for both AT&T (s t) and Verizon (s vz). The new Krait CPU uses dual-channel memory and boasts a 1.6 times performance boost over Qualcomm’s Scorpion CPU while enjoying a 25 to 40 percent power saving improvement. I expect that mobile devices built on this chip will still have to be charged daily in general, as we’ll just use the faster devices for more activities. The modem supports simultaneous CDMA voice with LTE data and is designed to work in common frequencies between 700 MHz through 2600 MHz. Essentially the S4 and competing chips like it should provide a noticeable performance boost to mobile devices over the next 12 to 24 months while maintaining, or possibly improving, battery life. This power should correspond to higher resolution displays for advanced gaming and imaging applications. I think back to the performance jump in my Nexus One(s goog); among the first smartphones with a 1 GHz Snapdragon processor. When it launched it felt like two steps ahead of the last generation of smartphones. Now, my venerable but trusty handset is getting lapped by handsets with speedy dual-core chips from Qualcomm, Texas Instruments(s txn) and Nvidia(s nvda). And when the S4 arrives in high-end devices, the same performance jump will happen again. I, for one, can’t wait to see the applications that take advantage of the power brought by the new silicon. It would be nice if someone could make a device that worked on all networks but it is unlikely. Even Gobi, which allows laptops, to switch data usage between CMDA Networks and GSM Networks at a whim is not as good as it should be. If there is one device that you can buy then you can user-select the network and change (if they have contract) on demand, then it is not really useful to the end user. Why buy a Iphone 4S on Sprint, switch to Verizon and be forced to buy another one, or switch to AT&T and buy a different one…the real problem is the networks don’t want that hence it won’t reach it’s potential. There is a device that works on Sprint, Verizon and AT&T. You said it, the iPhone 4S does just that. Apple makes one iPhone 4S that works with all those carriers. The problem is you CAN’T use the same device on other carriers. You have to keep buying a NEW ONE. Apple doesn’t allow you to reactivate the device on another carrier. Even if you buy unlocked you can’t switch to CDMA and keep using the same device.